By the name I guess you already know what I’m talking about. 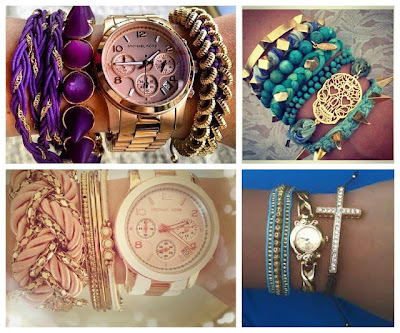 This new crazy-cool trend of making your arms the centerpiece of your outfit by making fun combinations of different style, sizes and colors bracelets. 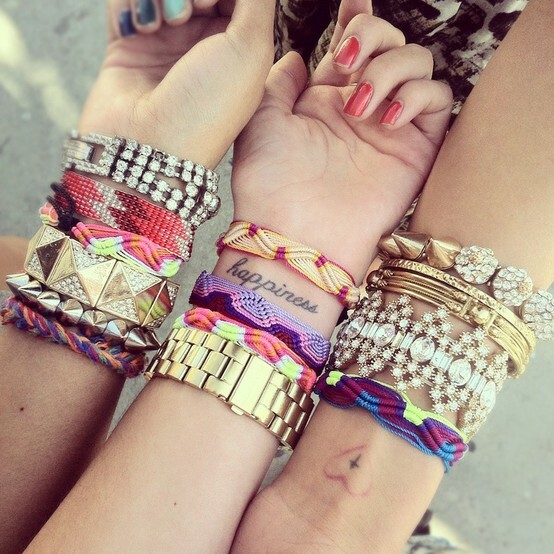 But did you know it is not about putting in your arms every single bracelet, wristband or bangle of your jewelry box? Well, I regret the bad news if that was your case, but the truth is that it’s a bit more complicated than that (but not much more). 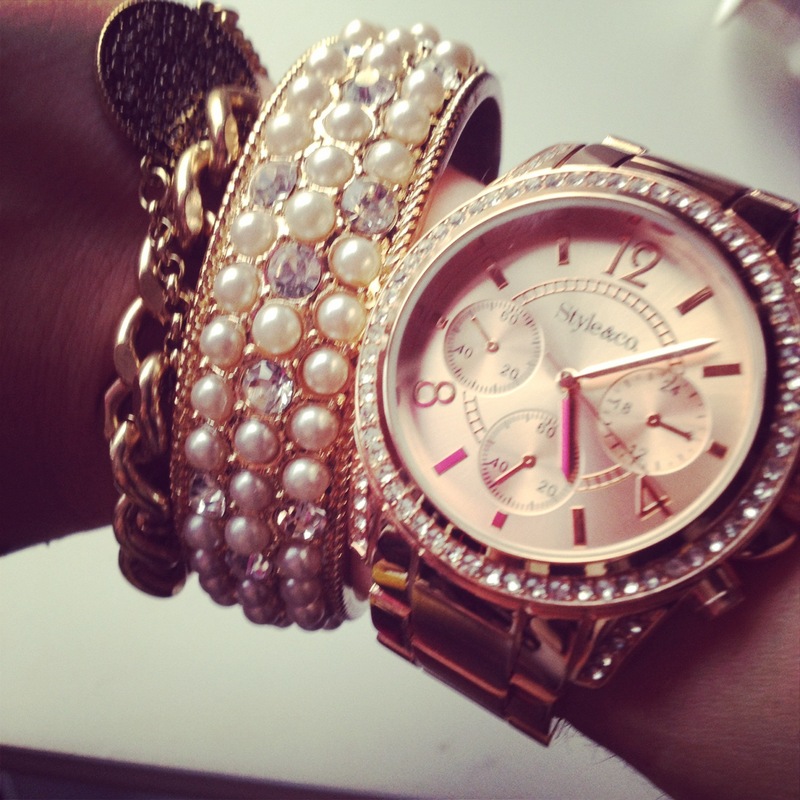 Start with a Watch: A Statement Watch that reflects you. It can be small or big, metal, leather, blinged or a simple watches. Pick one you love and build from there, but remember your metals should match with it. 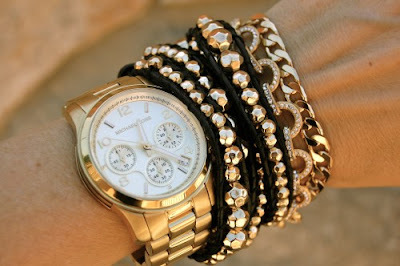 Add in a retro gold watch for a glam look or throw on your everyday leather watch band for additional texture. Gold or Silver: Stick to one of these metals (never both) and mix thick metal pieces with thinner metal pieces (like 3 thin pieces for every thick). Throw Some Color: Try some elastic bracelets with gold coverings (or silver if you choose silver for your Arm Party) for a more elegant look and the more fabric-y colorful bracelets for a daytime look. 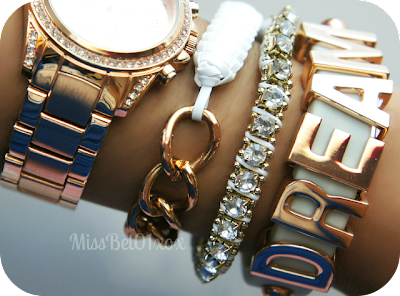 As far as color schemes, go for a more bold look with neons or mix and match with earth tones, mustards and pinks! Leather: It acts as a great way to add some accent to your metal, it looks really good and breaks the monotony your metals; but make sure it matches with the colors thrown before. Personal Touch: Throw in a piece with your name or a saying your love. 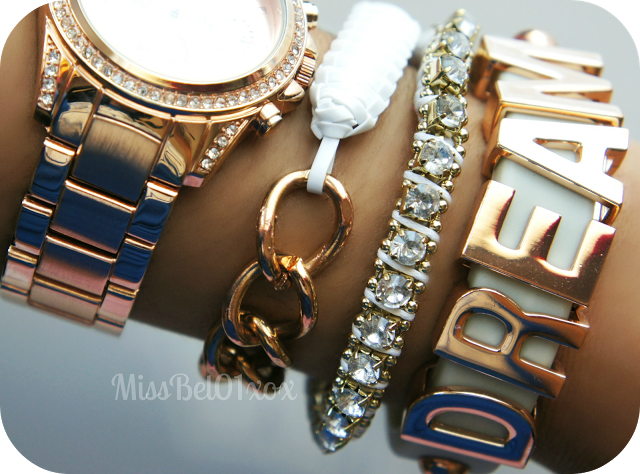 If you are a glam girl, add some diamonds or rhinestones. A little punk rock? Let’s see those spikes! 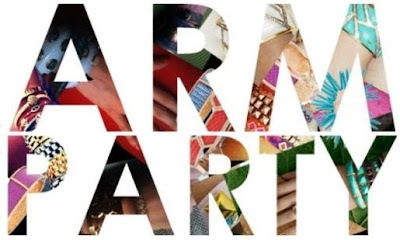 Hope you have fun preparing your arm party!